Before nearly any scheduled surgery, either the staff of the hospital were the procedure is being perform or the surgeons staff will explain to a patient how they are to prepare for surgery. Sometimes this is done verbally over the phone or through printed materials. But most patients are nervous before having a procedure done and it may be difficult for them to remember what they are supposed to do or why. If you have been negatively affected by this, please seek immediate assistance from attorney about filing a Stockert 3T Heater Cooler lawsuit for compensation. For example, most patients are told they can’t eat after midnight on the day of their surgery, but they may not really understand what they can eat and what should be avoided even if the item isn’t generally considered food. Explain exactly what clear liquids can be had, and that candy and even chewing gum are to be avoided. While most patients meet with the anesthetists or someone from that department prior to starting the procedure, most people are too anxious by then to remember questions they might have had or to talk about their fears. Help ease the minds of your patients by explaining the type of anesthesia they will receive. Monitored sedation is commonly known as twilight sleep. It is often used alone when the procedure is more uncomfortable than painful, or with local or regional anesthesia. Local anesthesia is injected near the surgical site to numb the nerves to prevent pain. Sedation may also be given to reduce discomfort. Regional anesthesia is injected into the nerves that supply feeling and sensation to the region of the surgical site. It may be given as a spinal, epidural, or caudal injection. The effects of the anesthesia may last for a few hours to a few days if continued for pain relief. General anesthesia causes unconsciousness and prevents the brain from interpreting pain signals. It also prevents the brain from being able to control movement and spontaneous respiration, so patients are helped to breath with mechanical ventilation. Patients often believe their hearts will stop while being anesthetized, so it behooves both surgeon and patient to explain that the heart will continue to beat. Because deep anesthesia can prevent the body from being able to regulate core temperatures, some patients may receive warm intravenous fluids, or be covered with a reflective foil blanket. Other patients may be covered with surgery warming blanket that is connected to a heater cooler device. This device sends warm or cool water through the blanket to regulate body temperature. These devices have been connected to serious bacterial infections in patients who have open-chest surgical procedures. Discuss these risks with your surgeon before having the procedure. 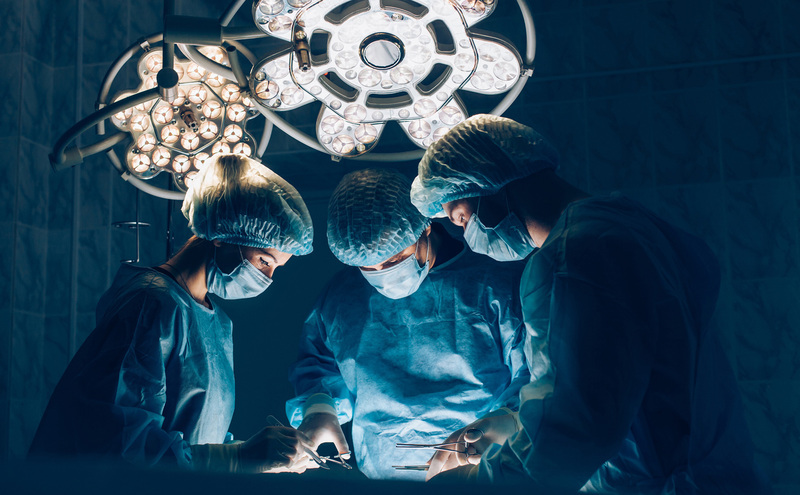 Surgeons should also explain to their patients what to expect after surgery, including where they will recover and how long they can expect to remain in postanesthesia care. Explain how their pain will be handled and how long they are expected to stay in the hospital and what a surgeon looks for after recovery that tells them the patient is ready to be discharged.